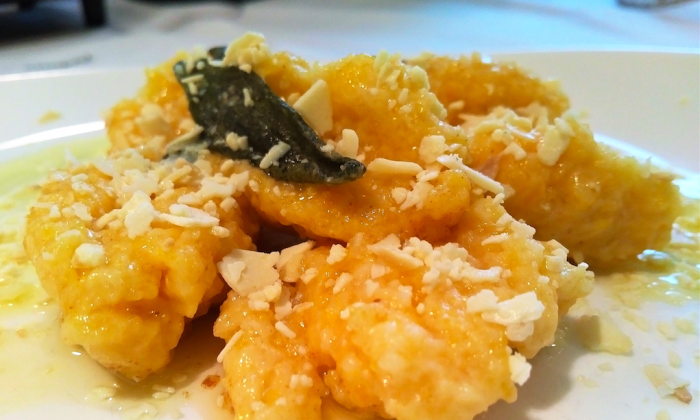 “Fantastico!” exclaims chef Luca Manfè, plating some golden goodness: pumpkin gnocchi. The mouth-watering aromas of sage-infused butter and smoked ricotta distract me tremendously as I try to take in all the tips and tricks from this Italian celebrity chef and first non-American to win on U.S. MasterChef. “This recipe will tell you a lot about who we are and what our cuisine was about—it was all about what was available at that moment, that particular season. Nothing fancy. But you have to use local and seasonal to make something nutritious and delicious,” he says. 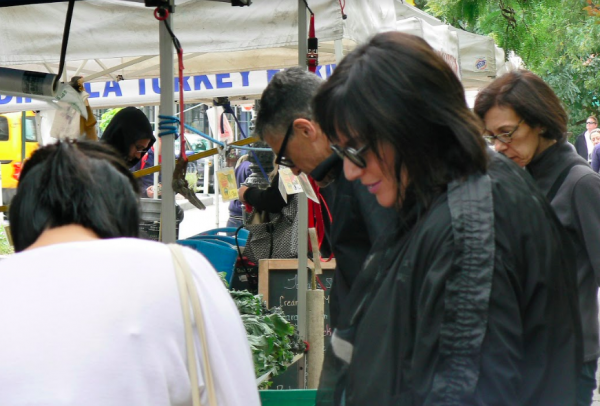 If chef Luca tells you to find the best possible local and seasonal ingredients in a skyscraper jungle such as New York, you know it means a trip to a farmers market. 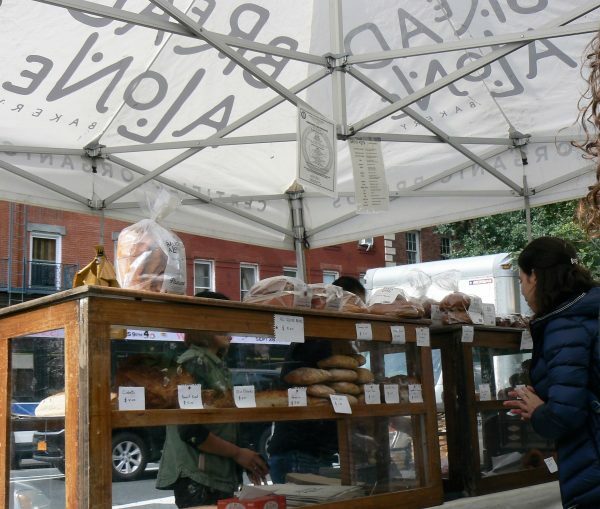 Thanks to almost half-a-century-long efforts from GrowNYC we’re lucky to have over 50 farmers markets. There you can buy directly from local fishers, bakers and farmers—the produce is always picked at its peak, only non-GMO, and, what’s even better, middleman-free. 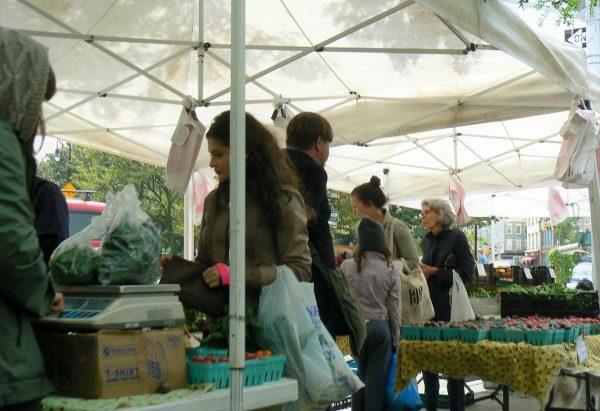 Greenmarket is a program of GrowNYC. 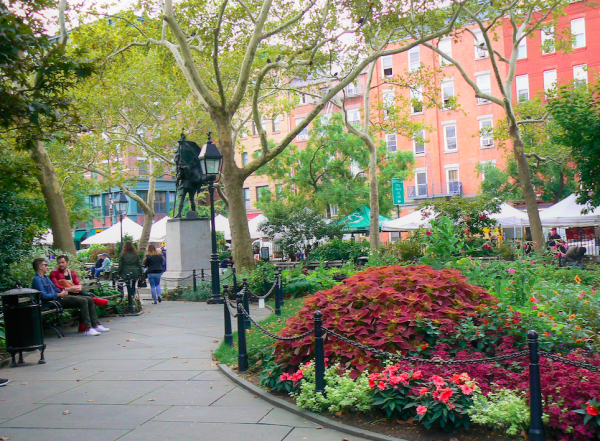 It operates over 50 farmers markets in New York City (Daniel Babay). The shorter the time between the farm and your table, the more nutrients are preserved (Daniel Babay). Here, at the Abingdon Square farmers market, I’m warmly greeted by over a dozen of vendors, offering anything and everything: From several types of apples, tomatoes, broccoli, peppers, pumpkins and certified organic artisan breads to wild-caught fish and seafood from Suffolk County, New York. 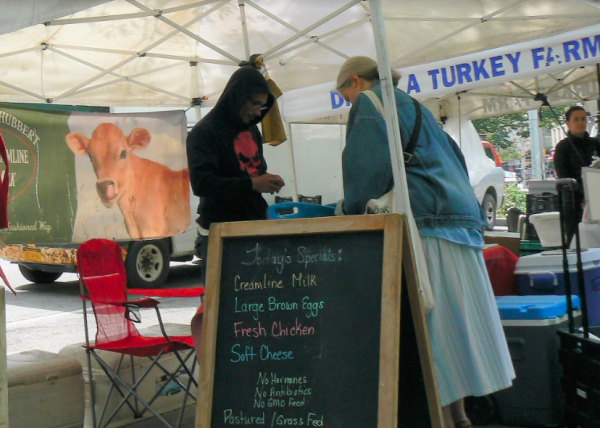 Greenmarket farmers use sustainable practices. Some are certified organic. All are personally invested in the health of the water, soil, and air quality of the farms where they live and raise families (Daniel Babay). 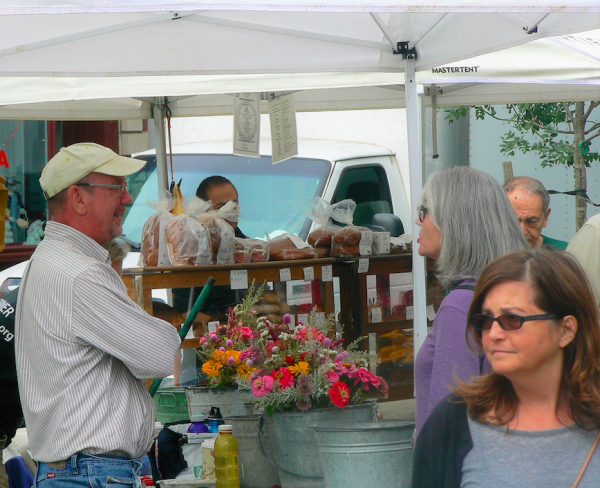 Old good human interaction is another perk of shopping at the farmers market. Small farmers are deeply and personally invested in the health of the land where they raise their families. Ask them how they farm (Daniel Babay). Freshly baked organic bread, pies, muffins—you name it (Daniel Babay). 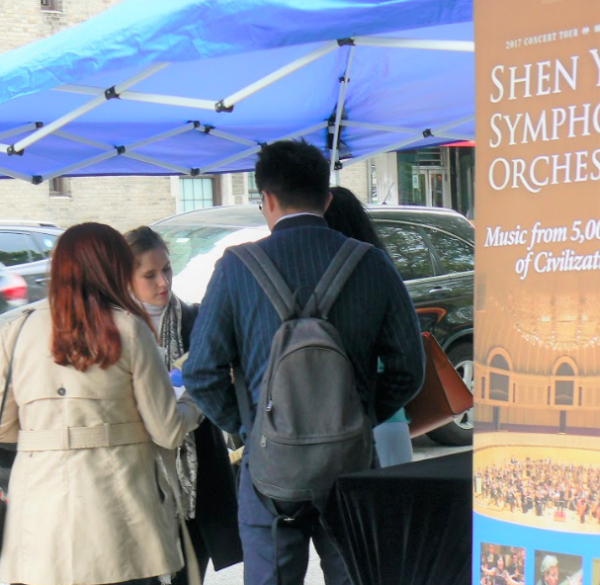 Shen Yun Symphony Orchestra performs this weekend, October 14 and 15, in Carnegie Hall. It’s an experience not to be missed! Take a look at the trailer and audience feedback. 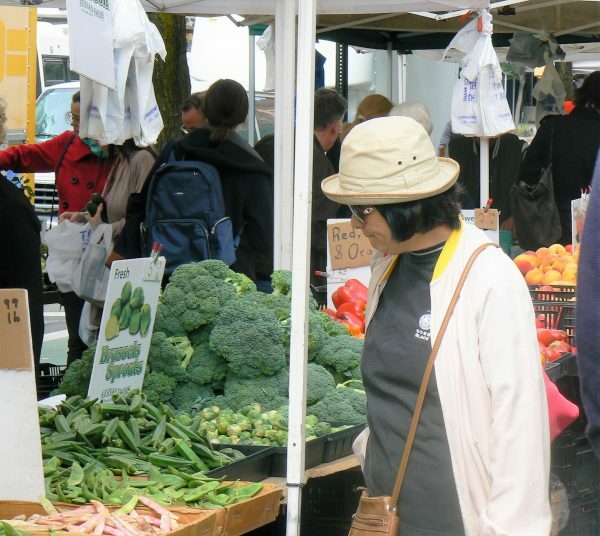 Some of the farmers markets are open year-round. Check out www.GrowNYC.org before you go for time of operation and list of services available (Daniel Babay). 3 cups pumpkin. To prep, simply peel, dice and boil the pumpkin for a few minutes, until soft (stick a fork in; the pumpkin chunk should break apart). Puree it. Step 1. Melt unsalted butter. To flavor it add fresh sage to the pan. Sage will infuse the butter with a very fresh, earthy flavor. Once it’s done put the sage on the side to ensure the flavor is not overwhelming. Step 2. In a separate bowl bring water to a boil. Add some salt. “Make sure to remember, always, the secret of making pasta is heavily salted pasta water,” says chef Luca. Step 3. In a separate bowl mix mashed pumpkin and flour. The ratio is 3:1, three parts pumpkin and one part (all purpose) flour. Sprinkle with grated Montasio cheese (a very typical cheese from Friuli Venezia Giulia where chef Luca is from, very similar to parmigiano, but not aged as much). Add some Parmigiano to boost the richness of the flavor. Add pinch of salt. Mix well. Add one egg. Add some more flour if the dough feels too wet. In the meantime, lower the heat so as to not burn the butter. Step 4. Using a spoon drop gnocchi batter into pan with boiling water. Gnocchi are ready when they come up to the surface and float, approx 3-5 min. Step 5. Add the gnocchi to the melted butter and turn up the hit. Fry for about 1 min, remove from the pan. Plate gnocchi, sprinkle with smoked ricotta and garnish with sage.